create and pubish an animated video for promotion and introduce. You don’t need to worry about the technology part at all after you decide on Animiz. 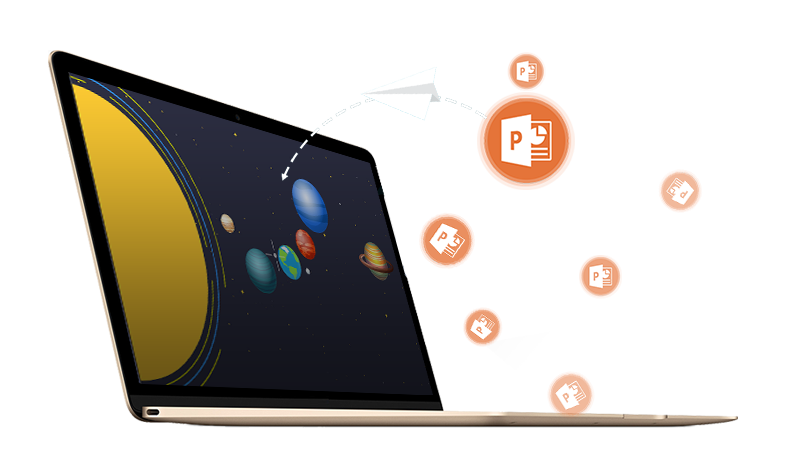 You can prepare the contents and material with PowerPoint as usual. And then import the PPTX file into Animiz. After a while, you can witness the transition from PPT file to animation project. 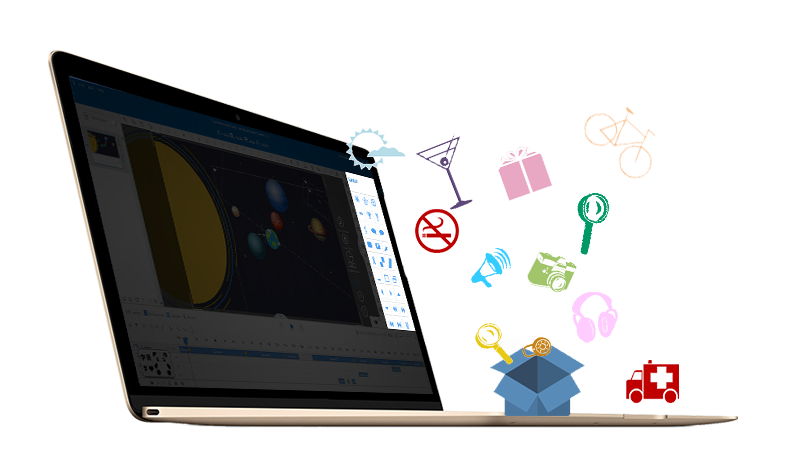 Then, you can begin your creation and customization in Animiz and get your free explainer video. Different form PowerPoint, you can add many cameras in your project to capture different contents in the video. It is an easy way to create the zooming effects through adding two or more cameras with different size. Zooming effects can help to focus on your key contents. In addition, other camera effects like panning and rotating can be easily achieved by adjusting the size, angle and place of the camera. Stunning camera effects would amaze your audiences during the presentation. Another thing that amazes audiences is the scene transition effects. There are many splendid effects(ade, slide, spin in/out, dissolve, etc) for you to choose from. The scene transition effects can be used between two scenes to serves as a connecting link between the preceding and the following. Furthermore, scene transition effects also contribute a lot in the clear video contents. 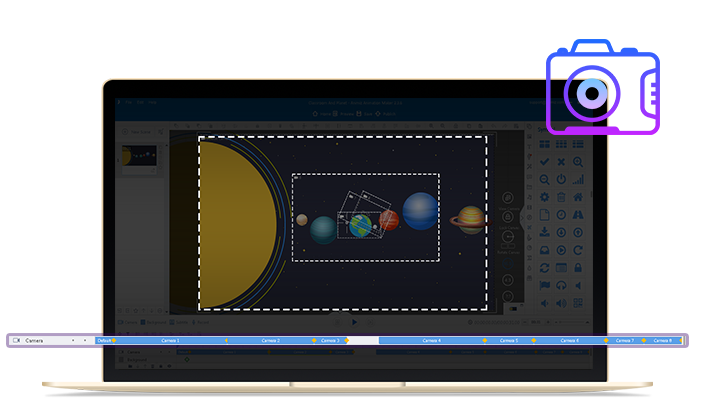 As a kind of professional explainer video software, Animiz also offers numerous vector symbols for enriching your texts contents. You are allowed to customize the color, size and opacity of the symbols applied, so that they can match your overall design style. What is more, symbols are designed to make your texts contents much more understandable to audiences. Symbols are all for free. Import the pre-designed pptx file into Animiz to get the animation project immediately. Add some cameras for your project giving it the zooming, panning and rotating effects. Choose transition effects as connecting links for each two scenes to make the video clearer. Match some symbols with the texts to enrich the contents and make them more understandable. 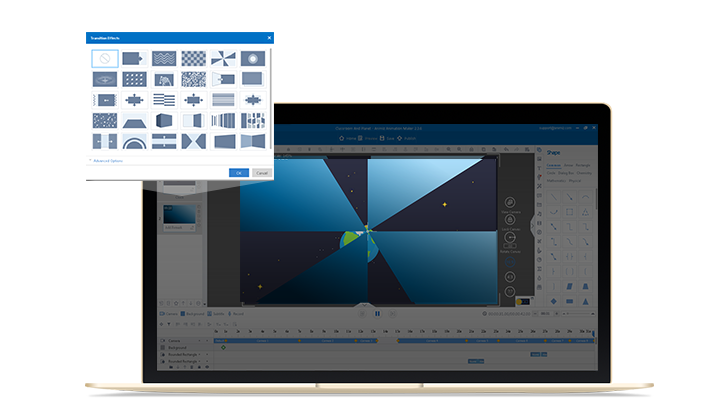 Publish the Animiz project as video or GIF formats or directly publish it to cloud.